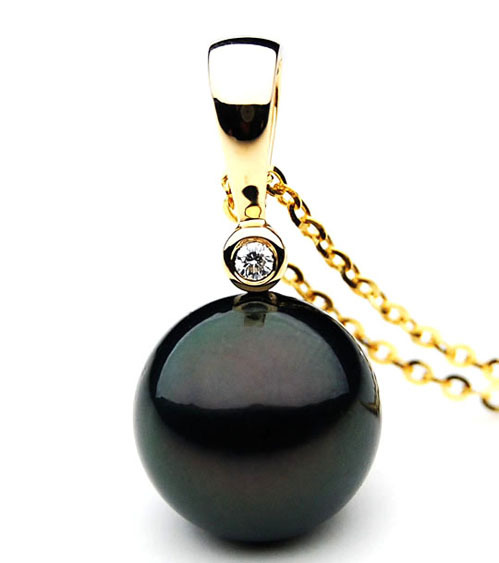 Click the button below to add the TP096 (AAA 14mm Tahitian Black pearl Pendant in 18k Gold) to your wish list. 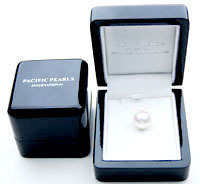 Perfect Round 13.8-14 mm AAA Quality Tahitian Black Pearl pendant set in 18k (750) Yellow Gold. with 0.06ct diamonds. I have had my new pearl for about a week now, and I can say that the quality of the product and service provided by PPI has exceeded my expectations. I had two calls prior to shipment; the first to confirm my cc details, and the second to advise of a tracking number for my product. 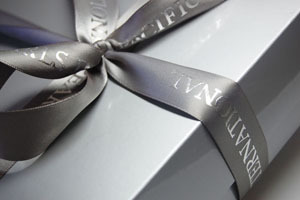 When it arrived I was super impressed with the presentation and with the pearl itself. I am very happy with the overall experience, and will keep PPI in mind for my next pearl purchase.